It’s the Niagara Falls event many people have been anticipating since last year’s show, and this year’s event proves to be even BIGGER! It’s the Niagara Falls Comic Con! Thousands of comic book collectors, horror, fantasy and sci-fi lovers, artists and everyone in between will be lining up for this event, at more than 200,000 square feet. 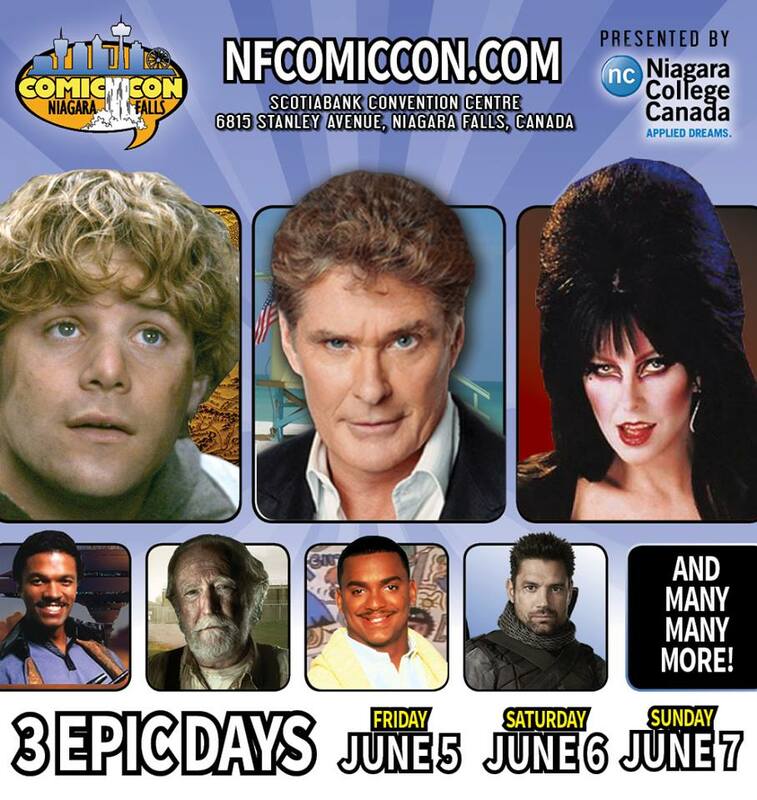 They have exhibitors, comic books, cosplayers and cosplay contests, movie screenings, celebrity autographs and photo-ops, workshops, Falls Horror Fest and much, much more at the Scotiabank Convention Centre located at 6815 Stanley Avenue right here in Niagara Falls. 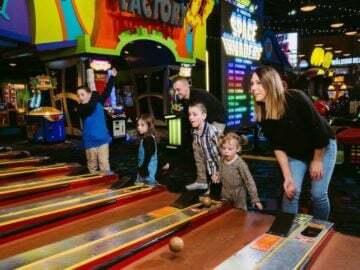 It’s only a 5 minute drive from the “Street of Fun by the Falls”, Clifton Hill. 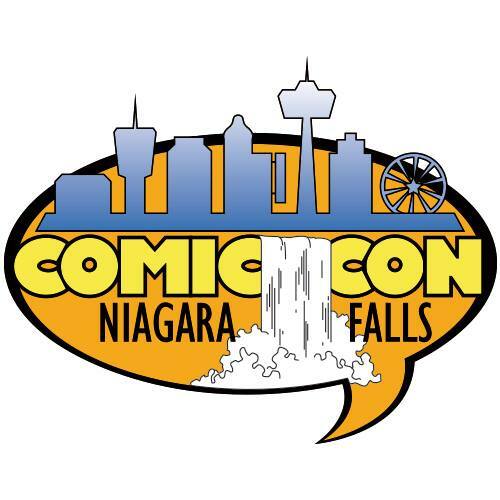 “Our main goal each year is to listen to our fans and improve on the previous year,” said Chris Dabrowski, Show Manager for the Niagara Falls Comic Con. “We’ve expanded again and have booked out the whole convention centre, including a 1000 seat theatre, that we will utilize for Q&A sessions, workshops and more,” he added. 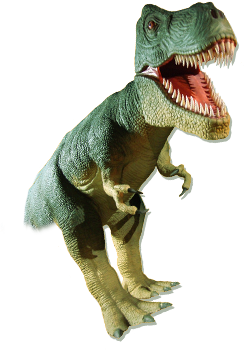 New this year is an 80’s Arcade Zone that will include more than 30 retro coin-op stand up arcade games. Movie cars booked include the Bat Copter from the 1966 Batman TV series, and a replica of the General Lee and Knight Rider KITT cars. The event has expanded their featured artist offering, which now includes more than 85 featured artists and independent publishers. Featured artists include: Legendary writer Gerry Conway, award-winning artists Darwyn Cooke, and David & Meredith Finch to name a few. Returning again this year is the “Falls Horror Fest”, which features more than 5000 square feet of horror exhibits, movie props, workshops, celebrities, costumes, and Q&A’s. 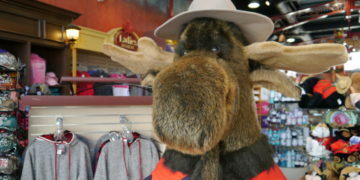 “Niagara Falls Comic Con is an event the provides people of all ages (and families) a fun and entertaining weekend with lots to see and do in a very relaxed environment. Even if you don’t think you’ll enjoy it, chances are you will, so give it a try! There is literally something for everyone,” added Dabrowski. Sunday, June 7th from 10:00 am to 5:00 pm. Saturday, June 6th: $35 — click here for online sales. Sunday, June 7th: $30 — click here for online sales. 3 Day Pass: $70 — click here for online sales. VIP 3 Day Pass: $325 — click here for online sales. ** Limited to 200 people. – Exclusive NFCC 2015 T-Shirt, Hat, Tote Bag, Button & Patch! This year’s line up of celebrities in UNREAL!! Chris Dabrowski, Show Manager / [email protected] (Interviews, Celebrity & Guest contact, Public Relations & Marketing, Sponsorship). James Ponce, Director of Operations / [email protected] (Artists Alley, Exhibitors, Event Sponsorship, Falls Horror Fest). 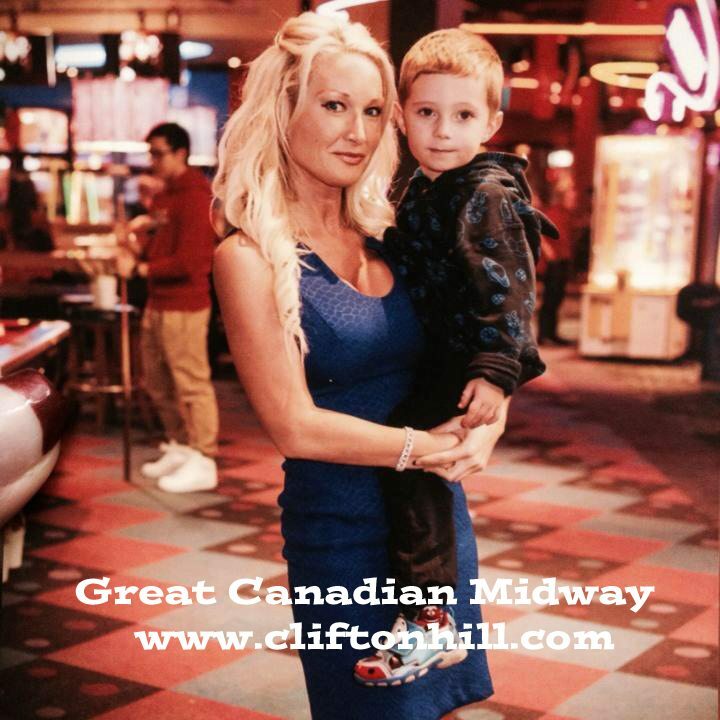 When the Niagara Falls Comic Con wraps up, there is still tons of fun to be had just blocks away on Clifton Hill! Comic fun continues in Movieland Wax Museum of Stars, where you can have your picture taken with the wax version of Cassandra Peterson as “Elvira”, Michael Keaton as “Batman”, Jack Nicholson as the “Joker” or even Heath Ledger as the most recent ”Joker” — all completely made of wax! There is even a Teenage Mutant Ninja Turtles set. The Dark Night, the Terminator, Lara Croft, Freddy Krueger and over 100 more figures are showcased here in this museum, all ready to have your photo taken with them! 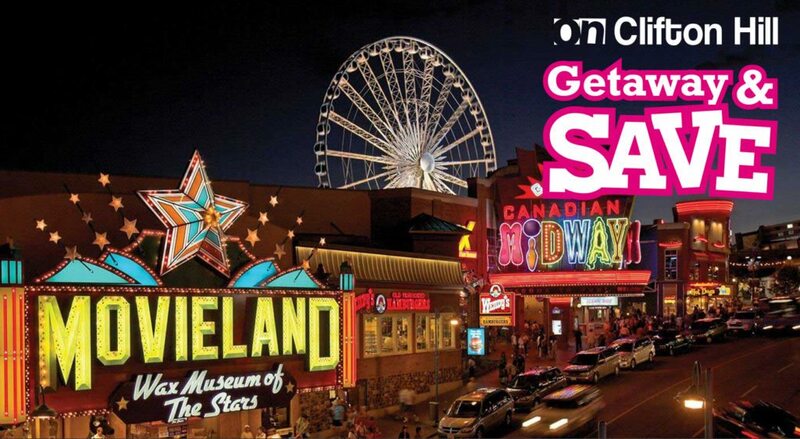 It is a 50% savings, made an even bigger savings if you purchase it online as you will receive an additional Niagara SkyWheel ticket. Go day and night! 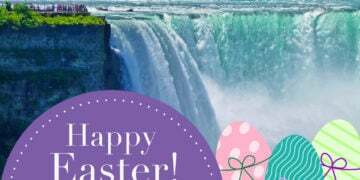 Enjoy this savings in a Niagara Falls hotel package deal when you stay at the Clifton Hill Niagara Falls Hotel. This hotel is not only just a 5 minute drive from the Niagara Falls Comic Con at the Scotiabank Convention Centre, but it’s literally only one block from the greatest Niagara Falls attraction of all — the majestic Niagara Falls! 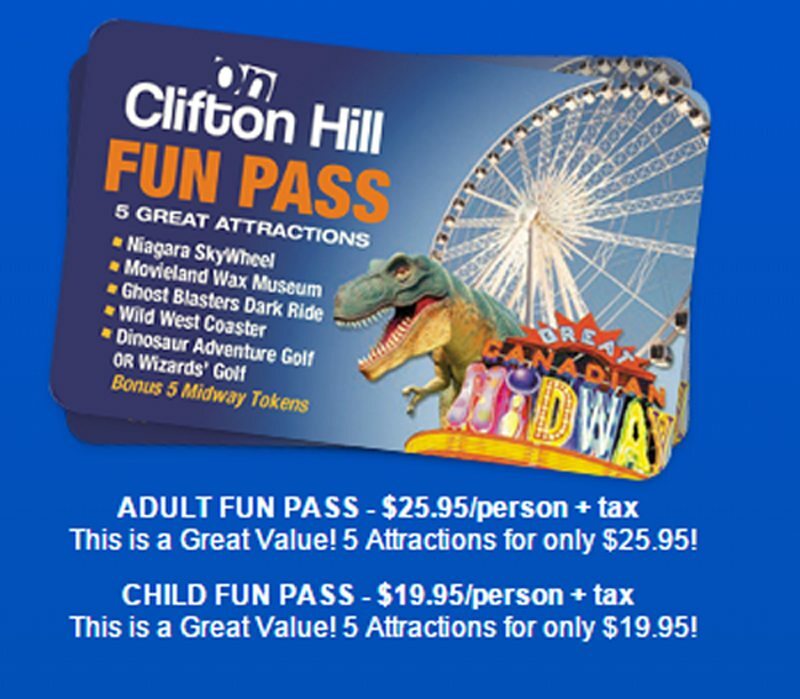 The Build-A-Package offer allows you to conveniently add-on attractions and events that YOU want to do at great savings — this includes the Clifton Hill Fun Pass offer, as well as many others. 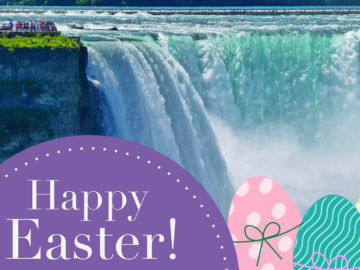 Our “Niagara Falls Family Package” is ideal for a family looking to getaway for a night or two! 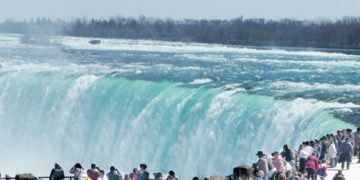 The Niagara Falls Comic Con will be sure to be a hit, so consider staying the weekend to get the most out of this event and sight-see in one of the most beautiful cities in the world. 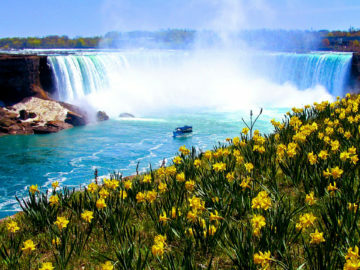 Take in all that Niagara Falls has to do! We look forward to this event and seeing you in Niagara Falls!